Το Reunion Heritage House, που βρίσκεται στη Τζώρτζταουν, είναι το ιδανικό σημείο αναχώρησης για τις εκδρομές σας στη Penang. Το ξενοδοχείο δεν απέχει πολύ από το κέντρο της πόλης: μόλις 0.1KM, και συνήθως χρειάζεται περίπου 20 λεπτά για να φτάσετε στο αεροδρόμιο. Με την βολική του τοποθεσία, το ξενοδοχείο προσφέρει εύκολη πρόσβαση στους προορισμούς της πόλης που πρέπει οπωσδήποτε να δείτε. Οι εγκαταστάσεις και οι υπηρεσίες που παρέχει το Reunion Heritage House διασφαλίζουν την ευχάριστη διαμονή των πελατών. Κορυφαία χαρακτηριστικά του ξενοδοχείου συμπεριλαμβάνουν τα 24ωρη υπηρεσία δωματίου, δωρεάν WiFi σε όλα τα δωμάτια, 24ωρη φύλαξη, ημερήσιος καθαρισμός, ιδιωτικό τσεκ ιν/τσεκ άουτ. Ελάτε σε ένα από τα 14 φιλόξενα δωμάτια και ξεφύγετε από τα άγχη της ημέρας με μια ευρεία γκάμα ανέσεων, όπως επίπεδη τηλεόραση, κρεμάστρα ρούχων, δωρεάν καφές φίλτρου, δωρεάν τσάι, λευκά είδη, που θα βρείτε σε ορισμένα από αυτά. Εξάλλου, το ξενοδοχείο διοργανώνει πολλά ψυχαγωγικά δρώμενα έτσι ώστε να έχετε πολλά πράγματα να κάνετε κατά τη διαμονή σας. Όποιος κι αν είναι ο σκοπός της επίσκεψης σας, το Reunion Heritage House είναι μια εξαιρετική επιλογή για την διαμονή σας στη Penang. Location is near jetty and easy to find. They have coffee shop and delicious ice cream. Staffs are friendly and helpful. The sofa is small and not enough for 1 person, but it’s okie for us. Not suite for some big and tall people. Will choose here if come back again. The hotel is hidden at the end of Lebuh Victoria just 50 meters from the jetties but nothing around the hotel. The design and decoration are tastefully made. Staff are friendly while room is reasonably large at an affordable price with simple breakfast provided. Nice, new rooms that are really cute. Small but cosy. The bed was comfy and the bathroom nice. We also liked the fact that the toiletries and water came in refillable bottles, reducing waste. There was also a free very basic breakfast of eggs or chicken porridge, toast and cereal. The soundproofing could be improved a little bit though. Reunion Heritage House is a place that you just felt like a second home. The hotel although is small and tiny but it is well designed with each of the details. The interior is very uniquely designed and decorated. Since i am traveling with my parent, the room on second floor will be tough for them to go up the steep staircase. If you coming with elderly guest, make sure you get the room on the ground floor for easy access. Great staff, they try very hard to satisfy. Our unit was two floors, with bathroom steep stairs, so caution if someone is elderly and needs to get up to the toilet in the middle of the night. Breakfast offered was just OK, nothing special, could offer much more without too much cost. Lots of free water, great homemade ice cream shop in the lobby. Helpful staff. This is a newly restored building that has beautiful rooms. The beds and pillows are comfy, the outlets are all modern and universal, and the general aesthetics are probably the nicest of anywhere we’ve stayed this trip. There is a little room for improvement though – our room smelled very mildewy, and most of the breakfast came from the freezer or can. Would still recommend the place. Had an enjoyable stay in Reunion Heritage House the past 3 days! I love the deco of the room, it’s spacious as well! The staffs were really friendly too. However, it would be good to work on the sound proofing of the room. Other than that everything else was great. 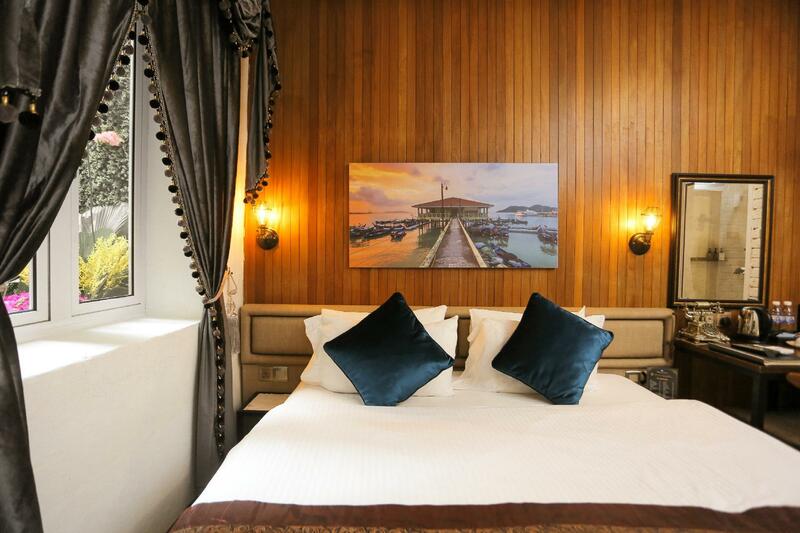 This boutique hotel has been nicely renovated to give old world look with modern comforts. There's a nice ice cream shop at the front desk area. Breakfast is basic. The rooms are small but comfortable. The biggest negative are the stairs which are steep and have narrow landings... more like ladders so you may need help getting the luggage to and from your room. This hotel really cosy and give you felt like you are in your second home. Really love this place, the staffs all very nice. Simple breakfast, got ice cream various flavor(rm8 per cup) got drinks bar and you can lepak2 outside your room or do your work comfortably i will definitely will come back here on my next trip. For facilities they do not have swimming pool or gym. But i am really satisfied my sleep here! We love the decor of this hotel. The mezzanine bedroom is lovely, and the room is big. It was also nice to find that the hotel provide water in glass bottles, not plastic bottles, that we can refill from the water dispenser on ground floor. It would be great if there are more movie channels on the tv, as perfect way to end the day before the guests fall asleep. We truly enjoyed our stay in Reunion Heritage House. One of the best stay in Penang. Strategically located in the middle of busy heritage site of Georgetown. I like the simple and modern design of the hotel. Antique decoration in the room. Clean and comfortable. We stayed in Duplex with window. 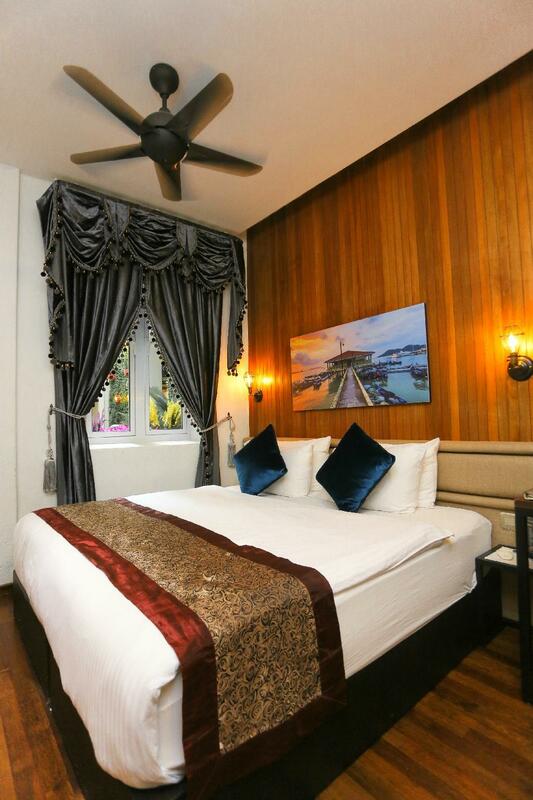 The room is spacious with one queen size bed and one flat bed at the ground floor. The amenities are basic (toothbrush, toothpaste, shampoo and body shampoo) but it is not a problem. The internet worked fine. The staff are friendly and helpful. Lovely comfortable cafe with superB ice-cream. Must try the special made ice-cream with local flavour which you cannot find else where. I high recommend this hotel to those who love to experience the true Penang heritage. The location can't be any better as it is in heart of actions in George Town. Lot of efforts have been put in to reinvent this old building and stories of the place were nicely curated. Staff are friendly. Breakfast is served in the cafe in the front which sells top-ranked ice cream. The only concern is with the poor humidity control and dripping from aircon. Nicely decorated boutique hotel very near to the Penang street art. Breakfast need to improved as therr’s not much of variety especially for foreigner that won’t eat Nasi Lemak for breakfast. Not much of choice, fried koay teow it’s also not a good choice as breakfast. The breakfast place it’s very dark, doen’t felt like I’m having breakfast but dinner. A unique place to stay. 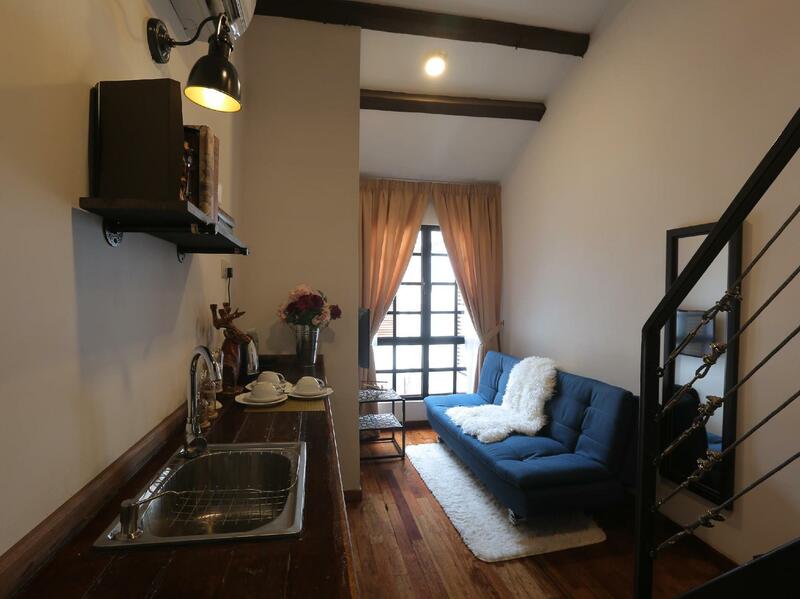 It is an old restored row house that goes from one street through to the next. There are two levels, our rooms were on the bottom level. The rooms are decorated differently with memorabilia from earlier times. The staff are very helpful, breakfast is adequate, location is great. You can walk from the ferry. very recommend, all staff very helpful and friendly, the room very nice and comfort, u must take the duplex suite, it very amazing room. the location near the all attractive object, street art and great food. overall great stay. We got a superior king room (no window), and while the room was small, it was very well laid out and impressively decorated. The bathroom was one of the prettiest I’ve seen, and was surprisingly spacious. The bed was a full king size with a very comfortable mattress. Breakfast selection was small, but good. Kudos also to the G&T welcome drink (most hotels just give juice/ice tea). Parking is free on the roadside outside the hotel (first-come, first-served basis). Perfect stay. Love this small hotel, like the design and decoration in room. Very comfortable bed. Complimentary 2 free drinks . Like the homemake ice cream at marry me which located at hotel. Basic breakfast. Will back again . Small bar and cafe in front of the hotel. Walking distance to lot of tourist attractions. Room is clean and good front desk service. The only thing need to be aware for tourist who drive is that they provide limited car par with 1st come 1 served, so u may need to park ur car at parking grid behind the street. p/s: Luckily it's easy to find a parking place after night in that area. Τερματικός Σταθμός Λεωφορείων Pengkalan Raja Tun Uda στα 0.68 χλμ.